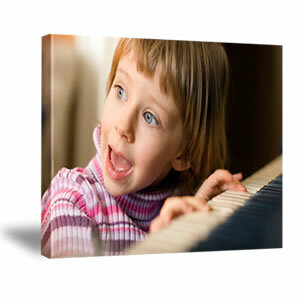 EZCanvas offers a quick turnaround time for canvas printing. Once the order is placed and we have the file to print, the production time is usually 2-3 business days. After that transit is dependent upon the shipping option selected at time of checkout. When the print comes off the printer the inks are given on average of 8 hours to cure. The print is cut and processed at the particular mounting station used to for canvas prints. On average 3-4 people are involved the overall production process. Our packaging and shipping department processes the finished print by carefully wrapping and securing it to corrugated backings and boxed for UPS pickup. In the case of unmounted prints, the print is rolled in kraft paper and shipped in a shipping tube.